India possesses a large labor pool as almost half its population of 1.2 billion is of working age. Naturally, the structure of India’s labor market is diverse; foreign companies need to understand this structure to benefit from India’s demographic dividend. A majority of the working population is engaged in the unorganized, or informal sector, working for small businesses or manufacturing units that employ less than ten individuals. 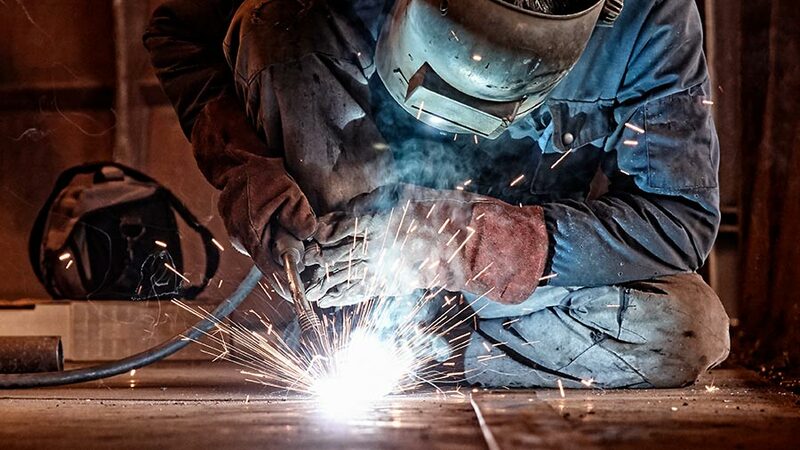 Businesses that don’t need skilled labor can source employees with some ease. The expansion of higher education has created a larger skilled talent pool, but it still only amounts to about ten percent of the country’s overall labor market. Companies seeking skilled labor need to be prepared to compete to recruit from this comparatively small pool. The government’s labor laws usually classify employees on the basis of skill and area of operation. In terms of skill, employees are categorized as unskilled, semi-skilled, skilled, and highly skilled. In terms of area of operation, employees are categorized as managerial personnel and workmen. This defines their job roles, wages, disbursal of benefits, and their rights and obligations. Firms entering the Indian market often choose to make the decision after assessing the comparative costs of labor. 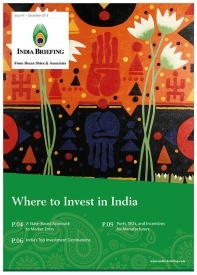 India offers competitive advantages with its lower wage structure and access to a vast labor market. For instance, the average minimum wage for contract workers in India is US$148 per month (Rs 10,000) and US$234 in China. Employers should note that the minimum wage in India is indicative; it is often utilized as a benchmark, especially in the employment of unskilled and semi- skilled labor in the manufacturing sector. Labor costs also vary by region in India; wages in tier two and three cities are much lower than tier one due to lower costs of living and affordable real estate. The difference in salary pay scale can be up to 25 percent as the city compensatory allowance and employee conveyance allowance is a much smaller portion of paychecks in tier two and three cities when compared with tier one cities. This is why, for instance, the average salary of a software engineer in New Delhi is US$7,632.53 while in Mysore it is US$6,621.47. 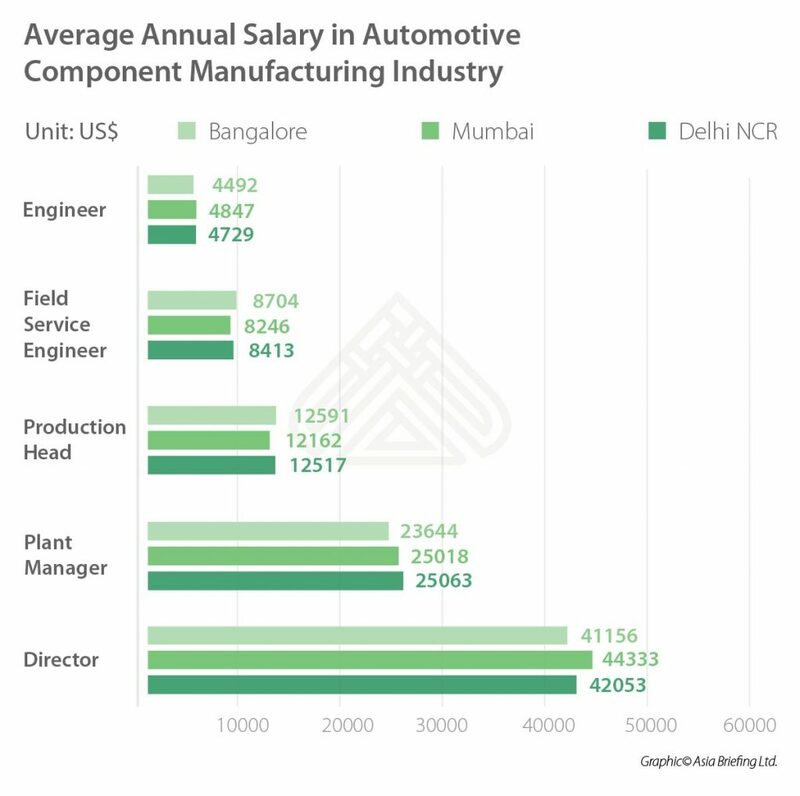 Information technology (IT) and auto manufacturing are the two most prominent sectors in India’s organized economy – they receive the bulk of foreign investment and are the biggest employers. The IT sector in India accounts for 67 percent of the global outsourcing market. 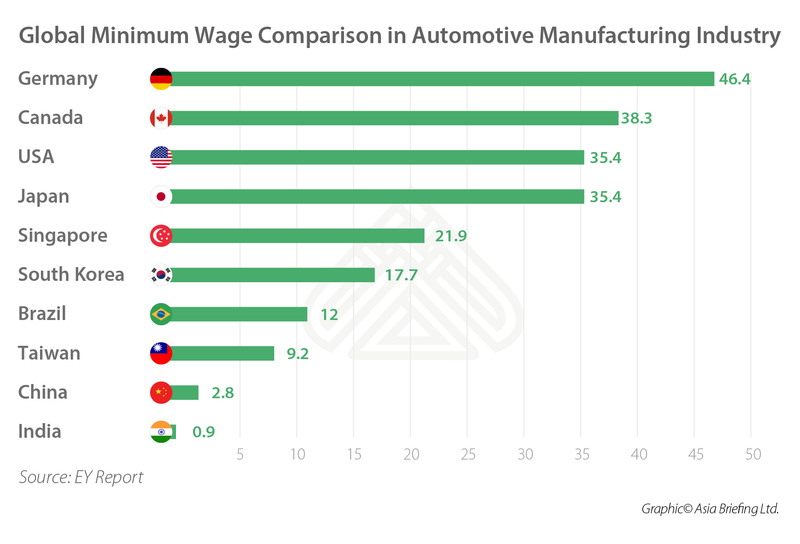 While the overall manufacturing sector constitutes about 17 percent of India’s economy, automotive manufacturing is the largest contributor at 22 percent of the manufacturing GDP and seven percent of India’s overall GDP. Within the IT sector, new technology segments like artificial intelligence (AI), data analytics, and machine learning are changing the nature of jobs and professional service capabilities. Firms are ready to pay higher salaries to software developers and engineers with skills in these new technology areas, but the competition to recruit is intense as the majority of the labor market is educated in the use of legacy technologies. As such, the sector is witnessing some disruption due to lay-offs and reskilling drives, which in turn may benefit foreign firms looking to hire labor at competitive rates in legacy industries like business process outsourcing (BPOs). 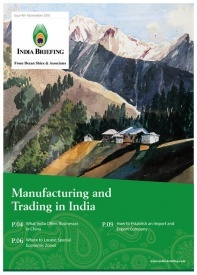 In the manufacturing sector, the federal Make in India initiative anticipates expanding industrial investments and domestic operations, which will boost the creation of technical jobs and factory and assembly work. Regional manufacturing hubs are centered on major tier two and three cities in the northern, western, and southern parts of the country, where a majority of India’s skilled labor resides. For instance, Pune (Maharashtra) in the west, Gurgaon (Haryana) in the east, and Chennai (Tamil Nadu) in the south. Proximity to large urban cities allows companies to tap into skilled talent located nearby, while also reducing operational costs due to reliable logistics networks. In the IT sector, lower tier cities such as Ahmedabad (Gujarat), Chandigarh (Punjab), and Mangalore (Karnataka) are emerging as prominent hubs besides the tier one cities of Mumbai (Maharashtra), Bangalore (Karnataka), and Gurgaon (Haryana). In the automotive sector, hubs have emerged in the states of Gujarat, Maharashtra, Haryana, Tamil Nadu, and Andhra Pradesh. Industry experts note that the average salary increment in the IT and manufacturing sector for 2017-18 was projected at seven and 10.1 percent, respectively. We highlight the average annual remuneration for skilled positions in the IT sector and the auto component manufacturing industry.